As we might know, Mahakaleshwar Temple in Ujjain is one of the jyotirlinga shrines among 12 popular jyotirlinga across India. Each one has its own eminent legendary tales and traditional beliefs, passed through the generations by word of mouth. Mahakaleshwar Temple has a cold-headed manifestation of Lord Shiva in the form of Mahakal inside the main abode. 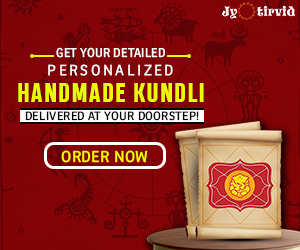 As a matter of fact, Mahakal was emerged in his most serene and composed incarnation by his fervent worshippers long back and is well-known for removing Kaal Sarp Dosh. The beatific image of Mahakaleshwar temple which was established in 1736 is famous as- dakshinamurti and can only be witnessed in Mahakaleshwar temple. Why Mahakaleshwar Temple is called to be Kaal Sarp Dosh Nivaran Kendra? Positioned in the south direction, Lord Shiva is settled in the visible shape of a “lingam” inside the foremost sanctorum and protects his devotees from all sorts of sorrows and troubles. 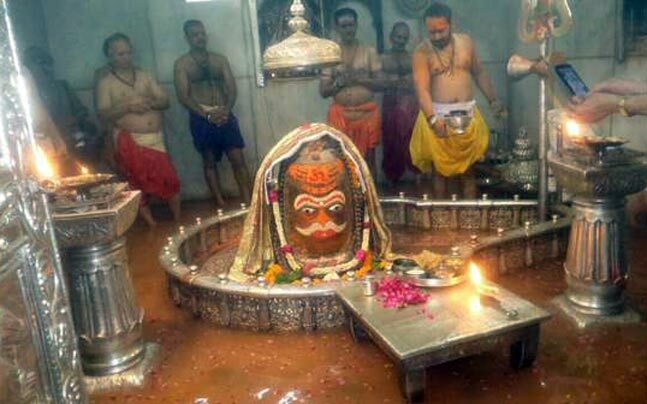 Ujjain Mahakaleshwar Temple is not only a temple to offer prayers to Lord Shiva in his incomparable avatara- Lingam but also an ideal homeland for kaal sarp dosha Nivarana in Ujjain. 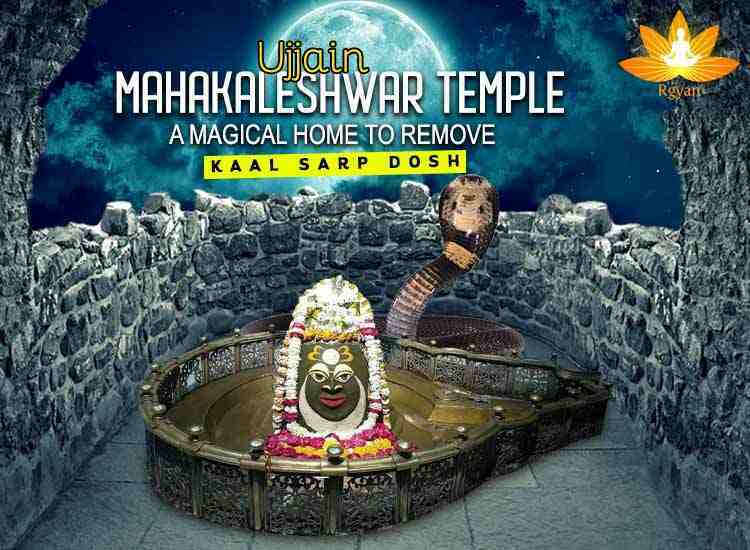 People walk a long way towards Ujjain temple to get rid of all these types of problems as mahakal has solutions to all the unwelcomed and harmful kaal sarp dosha since he is esteemed as a king and even a protector for Ujjain residents and his all-time fanatics around. Owing to the fact, the temple is also renowned for tendering the much-needed solutions to the devotees by Tantra-Mantra Vidhya. Since, one of the mythological legends holds the fact, the presiding deity is said to be Swayambhu or self-manifested and has immense power within. The one who pays a call to this magical place gets free from all the sins and wrong-doings with mantra-shakti. Bhasm Aarti betokens of organising a divine aarti with ashes from fresh funeral heap of combustible material, especially one for burning a holy corpse in a sacred funeral ceremony. Every morning at 4 am, Bhasma Aarti is carried out with significant traditional ceremonies, followed by Mahakal Shringar in the most creative ways by the local priests (pandits). They make the Shivlinga more attractive by the addition of decorative features including- rice wheat dough, blue silk heavy make-up embellished with golden embroidery and even different adorned gods faces. Sometimes faces of different Gods are also made on Shivlinga. Hence, the lingam idol is smeared with divine powdery residue (ash) as a part of daily Bhasam aarti. The Four prime halls (mandapam) inside the temple premises- Nandi mandapam, Kartikey mandapam, Ganpati mandapam and Mahakal (Bhasam Aarti) mandapam are way aesthetic and top-notch for the devotees. Among these four- main mandapams, Nandi mandapam and Mahakal mandapam are considered as the optimal parts of the temple architecture. However, Ganpati mandapam is exceptionally spectacular in its own way since the heading deity of Lord-Mahakal in the central sanctum sanctorum (garbh-grih) is easily seen from Ganpati mandapam. It is quite huge in size with big stairs to sit and pray. Nandi mandapam is very close to the divine Shivalingam exactly where nandi ji idol is installed. It is especially constructed for allowing VIPs and famous celebrities to enter during Bhasam Aarti for unusual glimpse (Darshan) of Mahakal. Kartikeya Mandapam is positioned just near to Ganpati mandapam in the temple. Do we know Ujjain Mahakaleshwar Temple is in which state? For your generic Information, it comes under Madhya-Pradesh state near Indore city (mini Bombay) which is considered third most divine place after Haridwar and Varanasi in India for religious visit. Ujjain has a pre-eminent mythological significance. Nearly all the temples situated in the Ujjain city have their own mythical folk tales and each shrine installed has a unique story associated. How to reach Ujjain temple from railway station: Basically, three major railway stations are there to visit Mahakaleshwar Temple in Ujjain- Ujjain City Junction, Chintaman (metre gauge) and Vikram Nagar. Once you reach these railway stations, it is very easy to outstretch to Mahakaleshwar Ujjain Temple either by auto, cab or personal taxi. Book any of them and enjoy being in the city of temples. By Air: The closest airport to Ujjain is Indore. Flights such as- Indigo, SpiceJets, GoAir, Vistara, JetAirways and many more are accessible from Indore city to Bhopal, Mumbai, Nagpur Kolkata and even Delhi. Book a flight to Indore and enjoy being in one of the religious places to take glimpses of Jyotirlingas out there. By Road: The major Bus stops in Ujjain are NanaKheda and Dewas Gate. Numerous private buses are available from the foremost cities such as- Indore, Dewas, Bhopal, Badnagar and Agar etc to reach Mahakaleshwar Ujjain temple. If you do not desire to travel by buses, hiring a personal taxi or cab would definitely a good idea to have a tireless journey throughout. The Best time to go and see this ancient Mahakal temple is 4 am since Bhasam Aarti is performed very early in the morning. Temple gets opened by 3: 30 before sunrise and worshippers are allowed to enter at 4 am during Bhasam aarti. Paying a visit in the evening during Puja conducted by temple’s leading Pujaris and pundits are also considered auspicious. Temple gets closed by 11 o’ clock at night. 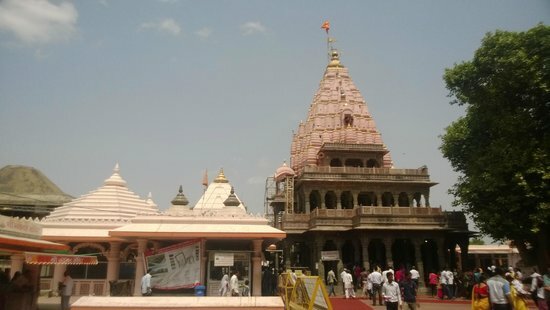 You can plan a short trip to Ujjain, especially to pay a visit to Mahakaleshwar Temple on your own, however it is always recommended to travel with adept and accomplished Temple Tour Itineraries on your way. Click Here to know a detailed version of customized itinerary for any of the temples out there. 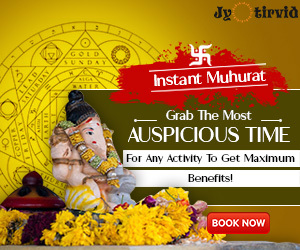 Previous article4 Superstitious Practices in India – Are these Mythological Beliefs fortunate? Next articleAre Crows usually associated with dark omen and death in mythology?